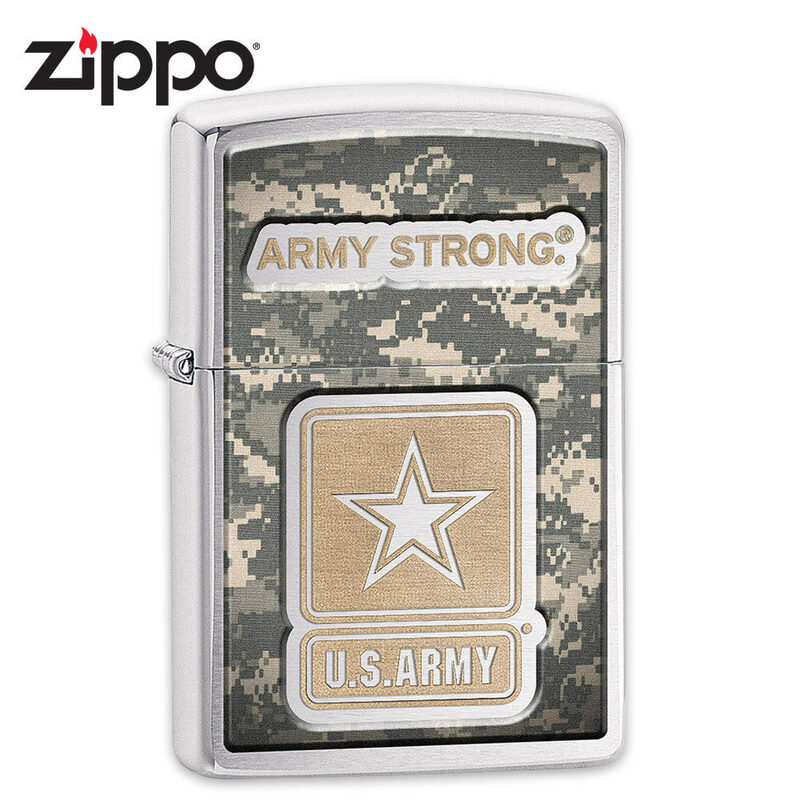 Zippo Army Strong Brushed Chrome Lighter | BUDK.com - Knives & Swords At The Lowest Prices! This officially licensed U.S. Army lighter is the ultimate lighter for any soldier! The brushed chrome finish offers a full-color Army digital camo pattern on the front with the U.S. Army logo and slogan, "Army Strong" across the front. This lighter is made in the USA and comes in an environmentally friendly gift box.